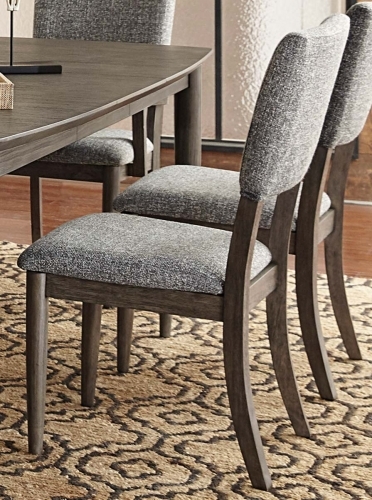 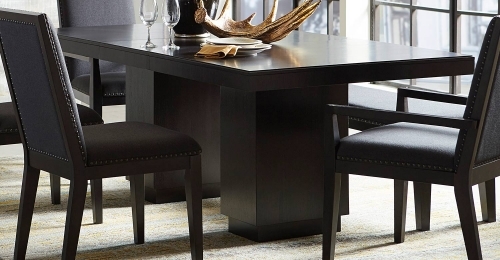 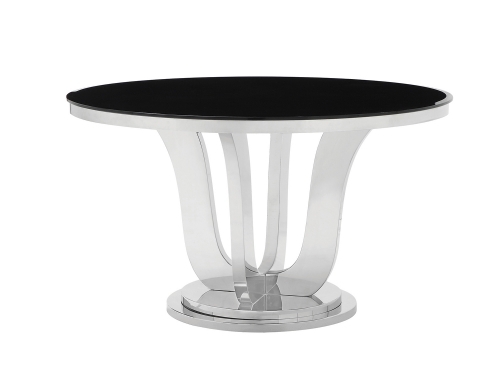 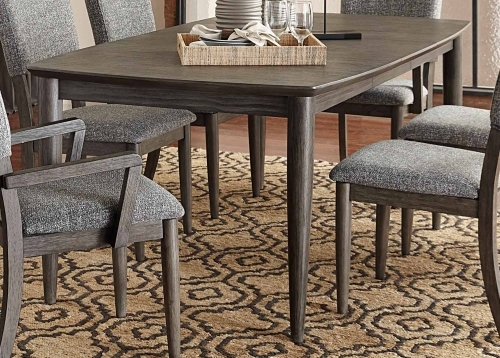 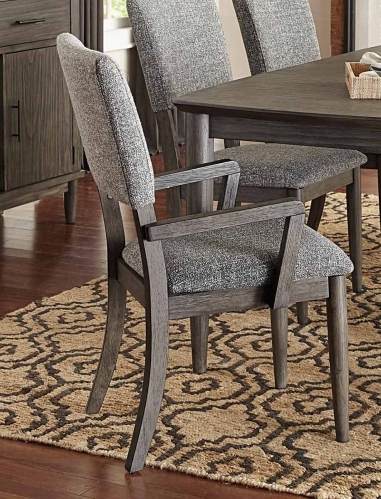 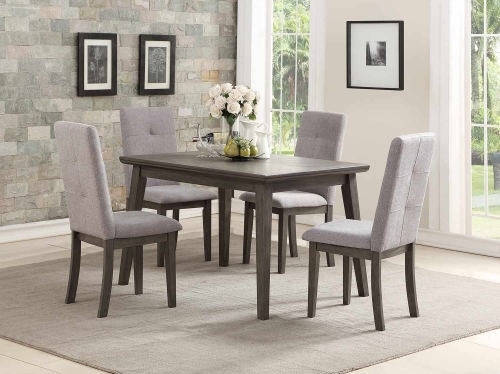 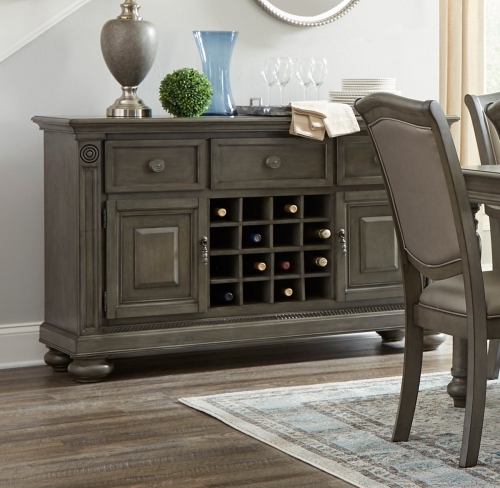 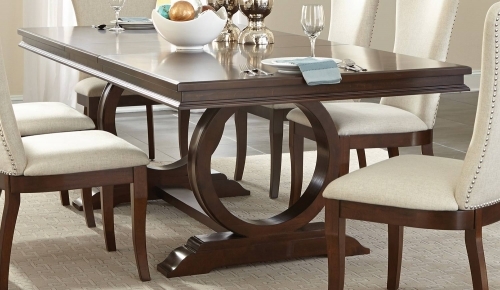 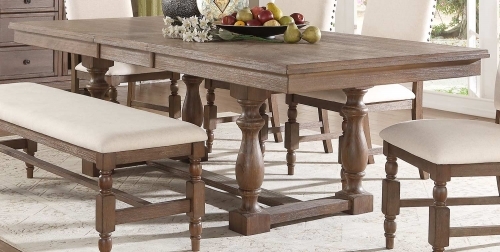 Subtle contemporary styling combined with the rusticated finish of the Roux Collection will be a welcome addition to your casual dining space. 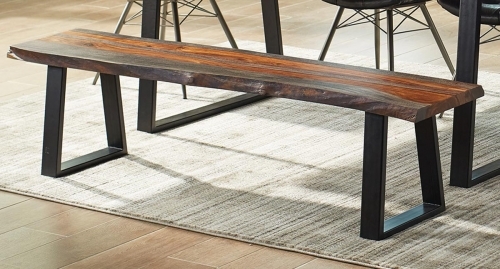 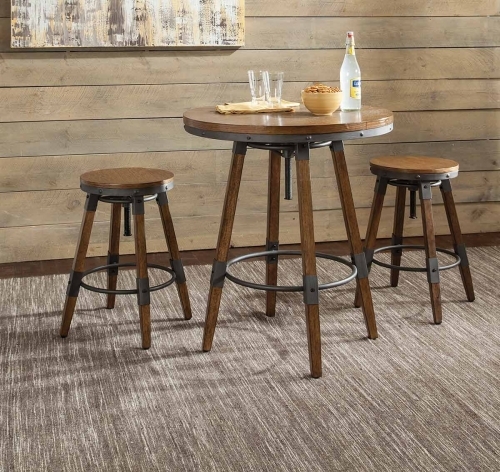 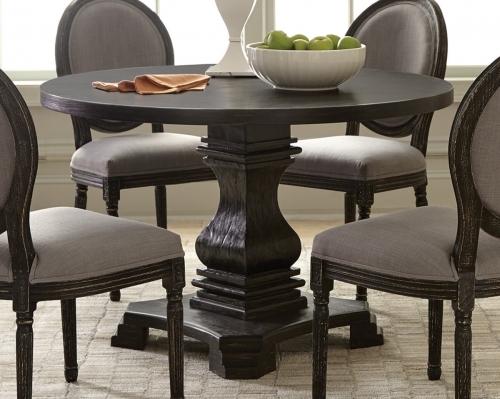 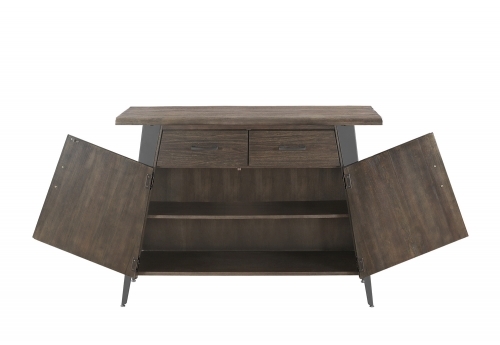 Tapered legs support each piece of the collection while a gray finish lends highlight to the distinct graining of the pine veneer. 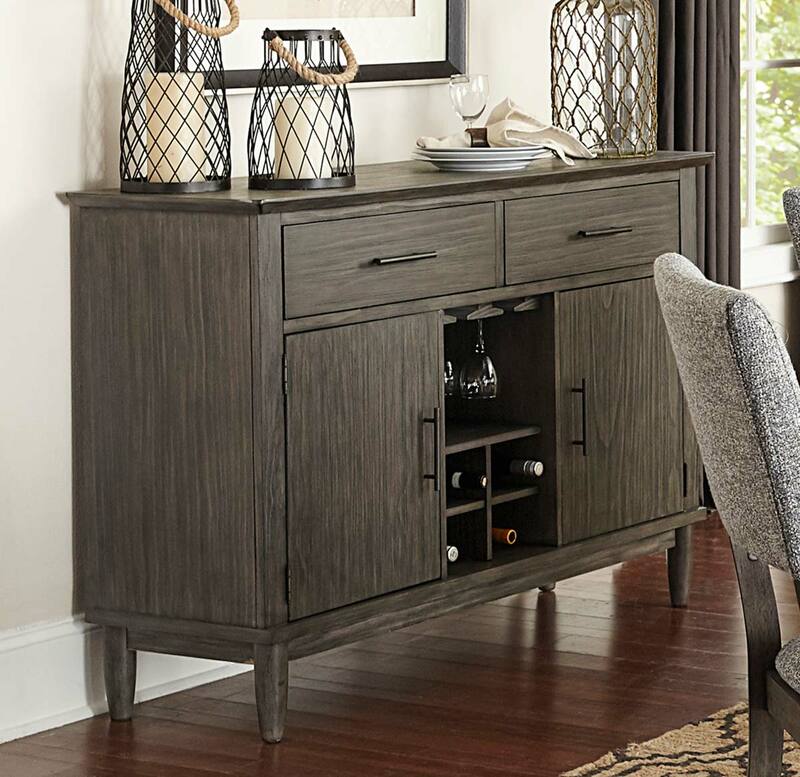 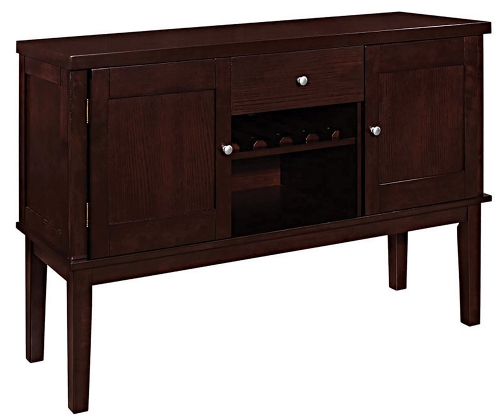 Wine bottle shelves and glass rack, behind door storage and drawers lend additional functionality to the collection. 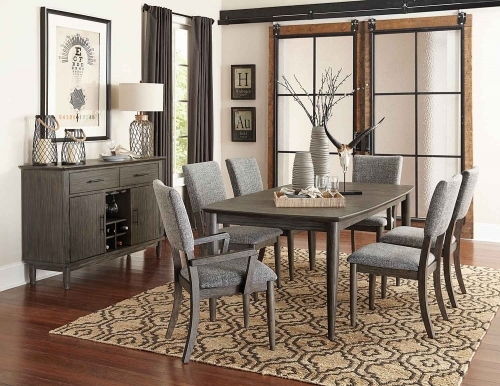 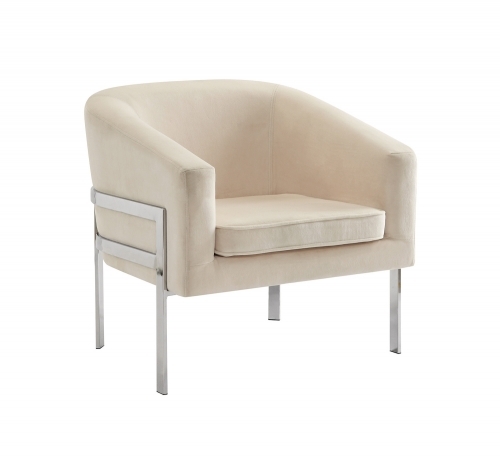 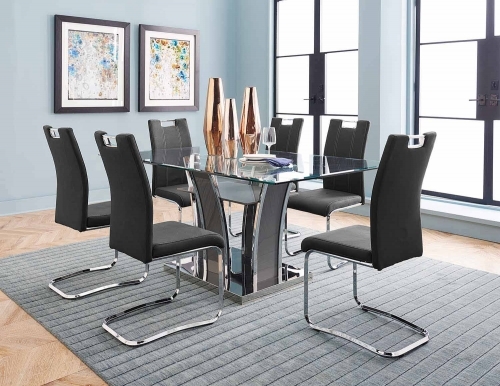 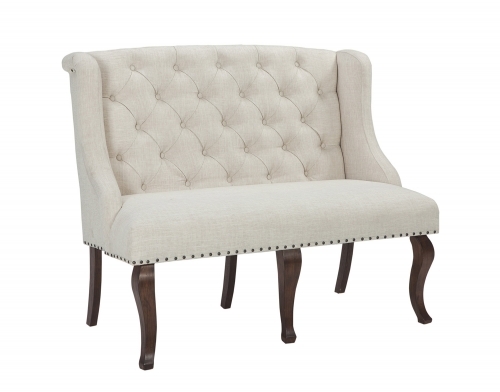 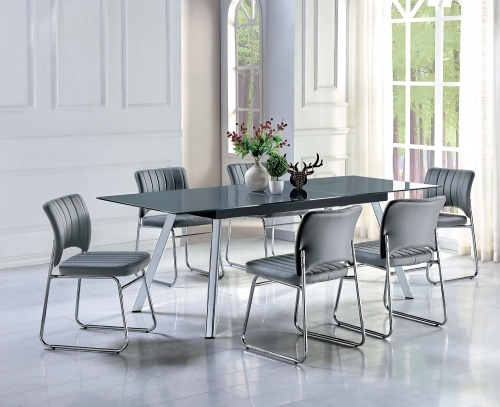 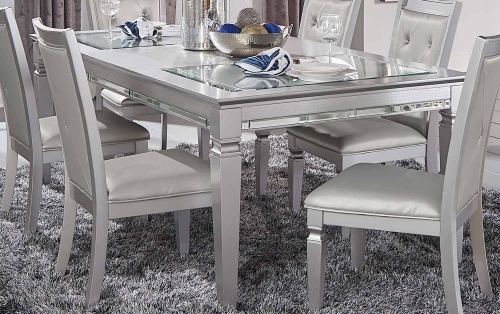 Neutral gray toned fabric covers the arm and side chair's seats and backs.